Whenever you have an opportunity to sign up for a vintage wine tasting, you should really consider it. 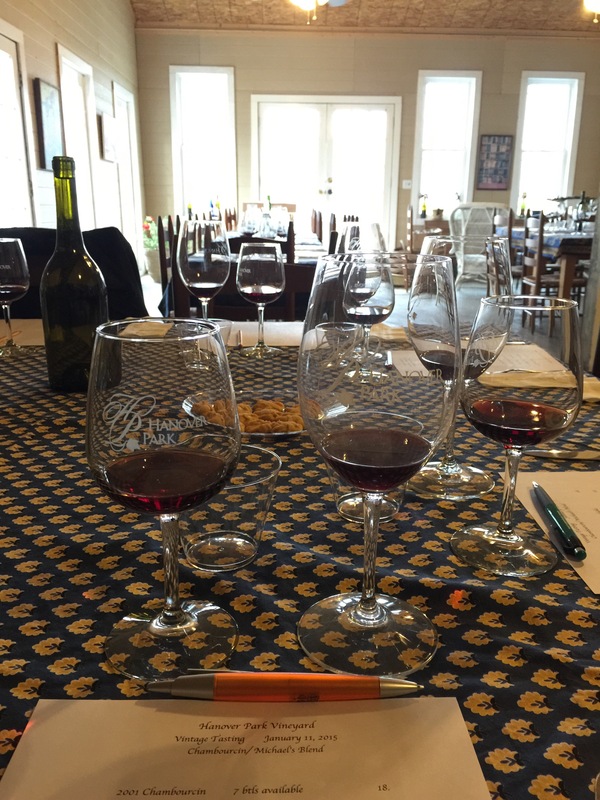 Oftentimes when you read about vintage tastings in wine literature, they span decades usually marked by significant events in the history of the sponsoring winery. Here in North Carolina, most of the wineries haven’t been open for decades like you might find in California. One of the only wineries that comes close to this is Hanover Park, which is where our most recent vintage tasting took place. Tonight we ate out at a local pizza restaurant, but that didn’t stop us from enjoying some great North Carolina wine. When we got home, we decided to unwind with a bottle of the 2011 Cypress Bend Malbec.